Before Ireland joined the European Union in 1973 we viewed the EU (then the European Community) as something foreign. We could not comprehend the concept of a European body and a European Court binding us. Never did we imagine we would join in this experiment of ensuring peace and stability through the creation of a common market. Never did anyone dream the European Union we know today was going to emerge from Robert Schuman’s economic interdependence experiment. When Bryan McMahon, now a judge of the High Court, first started lecturing EU law at University College Cork in 1969 (then European Community law) the European Court of Justice had heard two cases. Upon Ireland, the UK and Denmark joining the EU there were nine member states. The European Court was steadily developing its jurisprudence and the Union (still known as the European Community at the time) continued to be an economic community, and the single monetary union had yet to be thought of. Within two years Ireland hosted its first Presidency of the European Council. Ireland is currently hosting the Presidency for the seventh time. There are now 27 member states with further enlargement expected with the accession of Croatia on July 1, 2013. The European Court of Justice has become a corner stone of the Union developing and interpreting European Union law and the scope of the member states duties to implement it. More and more sovereignty has been ceded to the Union with one of the regular criticisms faced by the Union today being over legislation. Everything nowadays possesses European dimensions. 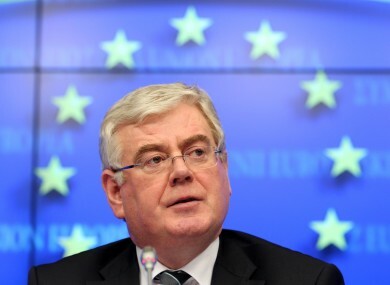 However, according to Tánaiste Eamon Gilmore, speaking in UCC on Friday February 15th, the biggest challenge for Europe at the moment is unemployment, with 23.8 million Europeans are currently unemployed. The rate of unemployment across the member states in December 2012 was 9.9%. This shoots up to 14.6% in Ireland with unemployment among young people under 25 rising to as high as 30-40%. This raises the question, what is our role as President of the Council in overcoming these challenges? As President, we have set an agenda for the council focusing on stability, jobs and growth. In a few short weeks we have overseen the agreement of the European budget, struck a promissory note deal and been part of the EU’s renewed commitment to helping peace in Mali. As President it is now our responsibility to herald the budget forward by obtaining approval from the European Parliament. We must host 180 and chair 1,600 meetings before the end of June, 2013. But why is this role so good for Ireland? Why are we so proud to be President of the Council? Does Ireland being President of the Council significantly impact on Europe and Ireland’s future? As mentioned above, Ireland has set an agenda of stability, jobs and growth. We will be pushing for trade agreements with the US and China, and encouraging enlargement with countries such as Turkey, Iceland and Montenegro. We will place particular focus on employment for young people. According to Gilmore we will lead Europe to recovery because ‘Europe’s recovery is Ireland’s recovery.’ However, taking into account the Europe wide problem of unemployment and the Europe wide desire for increased trade with the US and the need to focus on young people, would jobs, growth and stability not be the agenda regardless of who the President happened to be? Would any President not be working to lead Europe to recovery, subsequently helping Ireland’s recovery? Ireland last hosted the Presidency in 2004, costing the State over €90 million. Two years ago, in 2011, Ireland began preparing to host the current Presidency and it has diverted financial and people resources from domestic issues. It is estimated that the total cost of this Presidency will be €60 million – could this money have not been spent on solving national problems? Of course, it is not that all of this money has left the country or not added to the national economy. The Department of Foreign Affairs and other departments have employed people on a short-term basis providing jobs. Refurbishments of public buildings and the hosting of meetings and functions that would not otherwise occur in Ireland but for the Presidency has resulted in spending in the domestic economy by the State. However, this is unfocused spending. This is spending on an immediate, necessitous basis as opposed to spending to develop and foster growth in certain sectors. In fact, this is spending in a fashion that does little for long term jobs, stability and growth.